This week on The Digital Story Photography Podcast: Street Photography Ethics with Gordon Lewis, Travel Photography in London with David Hobby, Nikon 1 J5, and the Phhhoto App - All of this and more on today's show with Derrick Story. 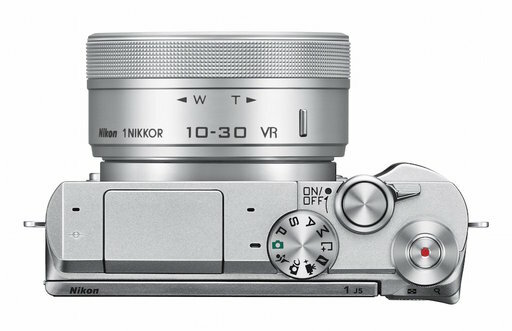 In other news... "Nikon 1 J5" The Nikon 1 J5 mirrorless camera has been announced as the latest member of Nikon's mirrorless lineup. It offers a more traditional shape and feel with a contoured grip and secondary command dial. Its 1"-type 20.8MP BSI-CMOS sensor - which does not have an anti-aliasing filter - offers a boost in resolution over its predecessor, and is also capable of 4K video capture at 15 fps. Intact from the previous model is a 171-point hybrid AF system with 105 phase-detect points. Also included is built-in Wi-Fi with NFC. And finally... Issue 19 of c't Digital Photography is out. In-depth articles include: Stills from 4K Video, Samsung NX1 vs Canon 7D Mark II, How to Digitize Slides, 10 Shoe Mount Flashes Compared, and everything you need to know about Food Photography. We have a Spring Offer for TDS listeners only: 30 percent off subscription price (over 40 percent off the newsstand). Go to http://bit.ly/ds1530 to sign up. Special price expires 4/13/15. Story #1 - "Street Photography Ethics with Gordon Lewis" - If you like street shooting you're probably going to love this conversation. Gordon has a new book, Street Photography: The Art of Capturing the Candid Moment, and you can win a copy by clicking on this link. Story #2 - From the Screening Room - The Traveling Photographer: London with David Hobby. Long time photojournalist and "Strobist" David Hobby takes you to the streets of London and talks shop. You can watch David in action by visiting the TDS Screening Room at lynda.com. While you're there, you can start your 7 day free trial to watch all of David's movies, plus every other title in the library (including over 20 by yours truly). News from SizzlPix: For April, We'll make it easy to delight your friends and relatives with SizzlPix of your or their favorite photographs with a Digital Story exclusive! Take a 20 percent discount; 25 percent on 2 or more shipped together. Just put "TDS April" in the comments space on the SizzlPix.com ordering page. In addition to subscribing in iTunes, you can also download the podcast file here (45 minutes). You can support this podcast by purchasing the TDS iPhone App for only $2.99 from the Apple App Store.